Reverb. It's use goes through cycles from a lot to almost none, but you'll usually find at least some reverb-type ambience used in every mix. The problem is that you can't really tell much of a distinction between the different types of some inexpensive plugins or boxes. In case you're a little fuzzy about the differences between the types of reverb available, here's a little refresher excerpt from The Mixing Engineer's Handbook 3rd edition. "There are five primary categories of reverb, all with a different sonic character; three of these are actual acoustic spaces, one is an analog way to reproduce one, and one is not found in nature but can really sound cool. The reason why there’s a difference is that just like everything else in music and audio, there are many paths to the same end result. You’ll find that every digital reverb plugin or hardware unit provides its own version of these sounds. Hall: A hall is a large space that has a long decay time and lots of reflections. Sometimes there’s a subcategory of the hall reverb called “church,” which is just a more reflective hall with a longer decay. Room: A room is a much smaller space that can be dead or reflective, depending upon the material that the walls, floor and ceiling are made of. It usually has a short decay time of about 1.5 seconds or less. Chamber: An acoustic chamber is a dedicated tiled room that many large studios used to build in order to create reverb (see Figure 1). 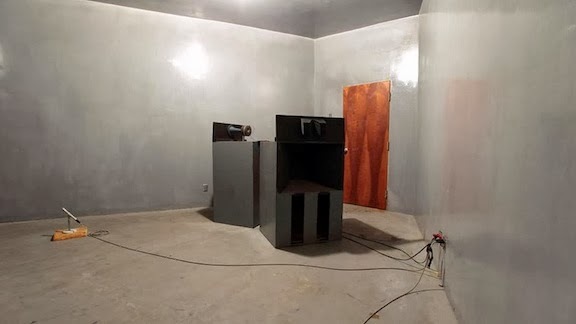 Phil Spector’s “Wall of Sound” was built around an excellent acoustic chamber at Gold Star Studios in Hollywood (long since closed unfortunately), for example. The acoustic chambers at Capitol Studios, designed by Les Paul himself, still have a reverb sound that is revered by mixers everywhere. Other common artificial spaces used as acoustic chambers include showers and stairwells. 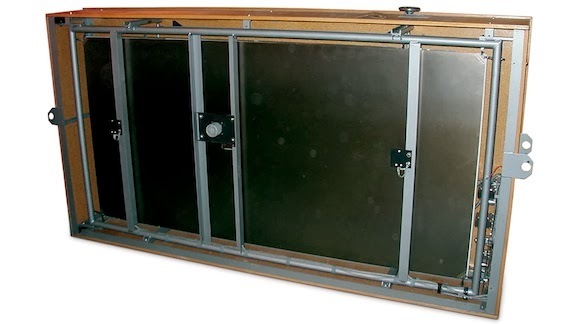 Plate: A plate is a 4 foot by 6 foot hanging piece of sheet metal with transducers attached to it that many studios used for artificial reverb when they couldn’t afford to build a chamber (see Figure 2). The first plate reverb was the EMT 140, developed in the late 1950s, and is still held in high esteem by many mixers for its smooth sound. Non-Linear: The non-linear category is strictly a product of modern digital reverbs as the sound isn’t found anywhere in nature. While natural reverbs decay in a rather smooth manner, once a reverb is created digitally, it’s possible to make that decay happen in unusual ways. The reverb tail can be reversed so it builds instead of decays, or it can be made to decay abruptly, both of which makes the decay “non-linear.” This preset was a popular mixing effect used on drums during the 80’s when the feature first became available on the AMS RMX 16 digital reverb (see Figure 3). As to which reverb category to use, that’s strictly up to the taste of the mixer and how he sees it fitting with the song. Many mixers might always use a room or a chamber on drums, a plate on vocals or guitars, and a hall on strings or keyboards, while others may do just the opposite. Many might refine the sounds of each and finally settle on a few that they feel always work in a particular situation with a certain instrument or vocal. It’s all up to experience. All of these reverbs can be modeled using what’s known as a “convolution reverb” that uses an quick burst of audio energy (called an impulse) to excite the room or device, which then allows it to sample its parameters. Examples of convolution reverbs include the Audio Ease Altiverb and Avid’s TL Space." To read additional excerpts from The Mixing Engineer's Handbook or my other books, go to the excerpts section of bobbyowsinski.com. I was surprised NOT to find "Spring" included here. Why not, Bobby? It's what we happen to have on our best guitar amp and an old Hammond M100 at home, so I was hoping to learn how that somewhat crude technique compares to the others. Thanks...love your blog! I've learned an awful lot here over the past few years.